ITEX is the largest marketplace for B2B cashless transactions in the USA and Canada. ITEX processes millions in sales for thousands of member businesses every month. ITEX Indiana maintains their own microsite at indytrades.com. ITEX Indiana came to us because they wanted a cleaner, easy to understand layout for their website. They also wanted to eliminate the friction and usability issues caused from their old website, including the need to send a multitude of emails to various groups and lists. Essentially, we were able to give them a beautiful, easy to use layout that met their needs. 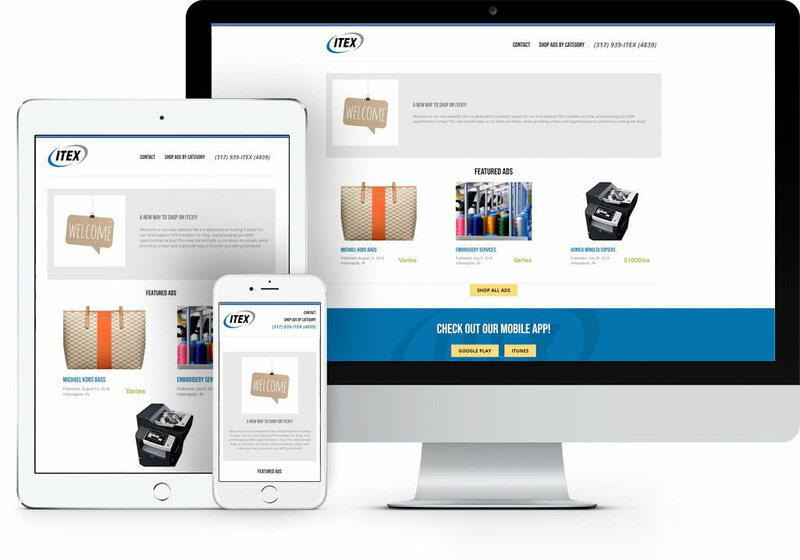 The new site makes it easier for local Indiana ITEX members to shop and helps cut down on the number of emails going out to lists, while providing a clean and organized way to present members with great deals. Their vision was a website that looked and functioned like Groupon, with the ability to mark listings and individual images within a listing as “Pending” or “Sold”, the ability to set an expiration date on each item, and the ability to feature only certain ads on the homepage. Mojo created a website that gave them all of this and more. Visit the ITEX Indiana website for yourself at indytrades.com.